Countertops are a large investment for a kitchen or bathroom. They are functional as well as decorative units that come in various surface types. No matter what type of countertop surface you have, they will ultimately need to be cleaned. Every countertop surface has its own unique cleaning needs. 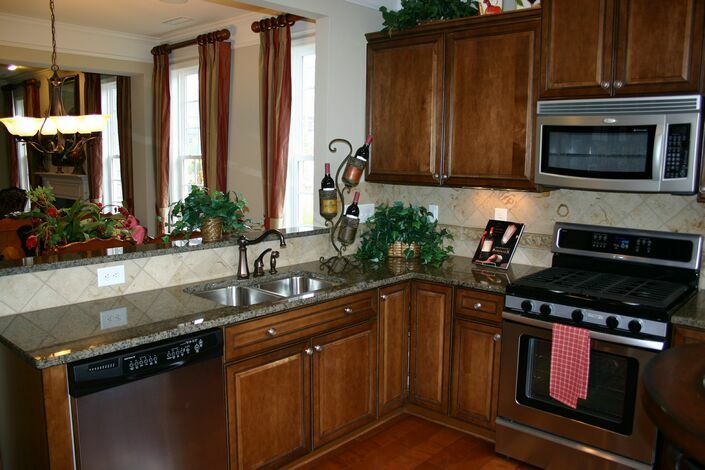 Both kitchen and bathroom countertops are required to be cleaned time to time. Also, countertop cleaning is one of the mandatory tasks. Most countertop surfaces can be kept clean with same basic care, regardless of what type they are. But there are some countertop surfaces that require very precise care and maintenance. Along the same lines, there are countertop surfaces that should not be spilled, stained or allowed to sit on them for any extended time period. Vinegar is a great cleaning agent for laminate countertops, but it is really very bad for marble countertops. Knowing what type of material is in your kitchen, will help you knowing what you should and shouldn’t use to clean them. Dust and dirt can scratch countertop surface. Spills that remain for too long on countertops may become extremely difficult to clean. For this reason, a daily countertop cleaning routine becomes very important. Just wipe countertop using a soft clean cloth on a day when you haven’t used your countertop. If more extensive cleaning is required, use soft cloth and soap water to clean your countertop surface. Make sure to read the manufacturer’s instructions for specific countertop material. Some countertop materials can be damaged by cleaning agents. Spills can stain nearly every countertop. Porous stones that require resealing will absorb spills easily, and discolor the countertop surface. Laminated surfaces can also get discolored from spills. When a spill occurs, clean them right away. Removing spills instantly will help you protecting your kitchen counter in the long run. Even big messes can be cleaned with basic cleaning methods. To clean your countertops, begin with the basic methods such as –dry dusting and cleaning with wet cloth. Only opt for special cleaning agents or dish soap on countertop type, if it is needed.